Following our look into the Winnipeg General Strike and contemporary protests, what does section 2 (c) do for our democracy in Canada? Are the grievances of the 99% the same as those in 1919? Why or why not? Are the 99% justified? We have been discussing ceilings and floors in our economics class lately and how these manifest themselves in the “real world”. We certainly can envision how government can affect things like rent, but what happens when supply is controlled or not in agriculture? 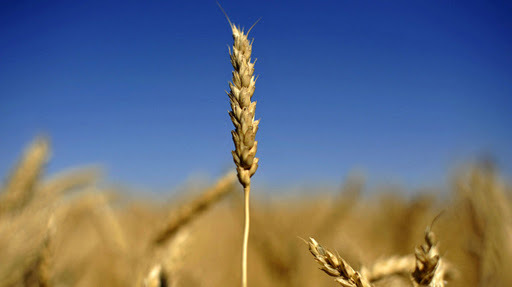 With the Tories set to dismantle the Canadian Wheat Board, many farmers, suppliers, and retailers are suggesting either a greater control of supply on things such as milk and eggs, or an opening of the free market. Finally, here is a podcast from the CBC Radio program, The Current. Here, the idea of controlling the supply if milk is discussed. As we have explored the art installation entitled (official denial) trade value in progress, what has struck you about what you have learned? 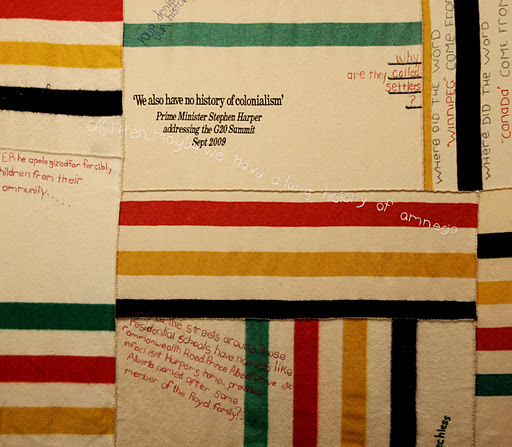 What comment did you choose to sew onto the blanket and why? What comment did you write into the book and why?